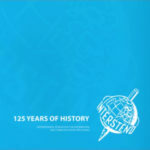 In 2012, for the 125th birthday of the Intersteno Federation (first congress in London in 1887), Gian Paolo Trivulzio has written the story, gathering as much information as he could, all over the world. Intersteno Board had decided to honor the huge work with a printed book. The book is available for 25 € including the expedition costs in European countries and in the USA (30 € for the other ones); by writing to gsante @ icloud.com. 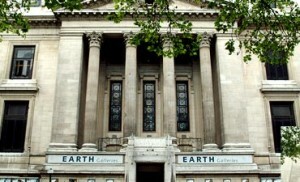 On September 26th in the huge hall of the Geological Museum, London, the first Congress of Intersteno was opened. Born of an idea of Sir John Westby Gibson, to celebrate 300 years of the ‘modern shorthand’ it enabled the 400 participants to spend a whole week discussing the themes of shorthand in parliaments and the courts of justice, and its influence on education and in the female world. The report of the Congress contained the speeches and the debates which followed. Unfortunately there were no photographs. In that year wireless radio had not yet been invented by Marconi, the telephone was a mysterious object, the designers of automobiles had taken their first footsteps, typewriting was a curiosity looked upon with distrust and still produced at handicraft level. Capable stenographers assured the recording of parliamentary debates and their diffusion through the newspapers, which received the texts via the telegraph, which was the principal source of news transmission. The inaugurator of this meeting, during his opening speech, expressed the hope that the Congress would not to be an isolated event, but would be the first in a long tradition. The report does not tell us that the good food and wine served on that occasion positively contributed to this goal, but the decision to continue with the event was consolidated, beginning a tradition that continues today withthe 48thCongress, held in Paris 2011, and in Ghent (Belgium) July 2013. Surely the 50th will take place in 2015! By the courtesy of Helena Matouskowa, the annexed document shows the names of the ‘founders’ of Intersteno attending this first meeting. Marcel Racine represents, in the history of European and world stenography, the most important figure of the second half of the 20th century. The activities of Intersteno began in 1887 in London but stopped during the years of the second world war. In 1954 Marcel Racine, anxious to give back life to Intersteno, undertook contacts with several countries and invited leading figures to an important symposium at Mount-Pelerin, near Vevey, in Switzerland. 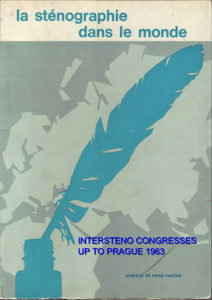 From that date on, and in principle every two years, Intersteno has organised its remarkable Congresses. 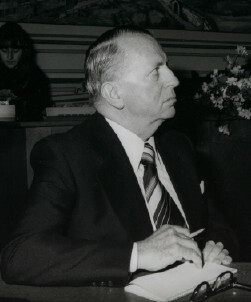 At that time in 1954 Marcel Racine assumed the post of Secretary General of the Federation – a position he held without interruption for 28 years. He was the main architect and the zealous animator of Intersteno, promoting an increasing expansion of this organisation which, beginning with 10 member countries, quickly increased to 25, then grew to 32 countries among which are some of the most important in the world. ‘To enthusiasts of the art of abbreviation, Marcel Racine was the undisputed leader of the shorthand world.’ So said Mr. Flaviano Rodriguez, Honorary President of Intersteno following the death of Marcel Racine. Rodriguez continued by pointing out that Racine maintained and improved his numerous contacts with the shorthand organisations of the various countries as well as with their members, thanks to his knowledge of many languages, not least Italian, thus developing good relationships not only between societies, but at a personal level. Many of these led to true and deep friendships. Marcel Racine considered stenography as his main leisure activity, to which he dedicated his free time, dynamically helped by his wife Roselyne. The engagement of the Racine couple was fascinated, disinterested, voluntary, generous, their only objective being to contribute to the diffusion and enhancement of stenography. Marcel Racine gave an overview of the life of Intersteno up to the Congress of Prague 1963 in his book ‘La stènographie dans le mond’. You can dowload the original pages by clicking on the image. This passion, coupled with wide professional experience, thanks to his diplomatic-military career, made Marcel Racine the interpreter and representative of a wide corps of stenographers whom he was able to unite. We read, again from the pen of Flaviano Rodriguez, that Marcel Racine participated at all international conventions of Intersteno, although his precarious state of health prevented him from being present at the Congress in Istanbul in 1993. Marcel Racine expressed to Flaviano Rodriguez the desire to meet in Lugano in September 1993, in company with their wives, to chat and to celebrate their 55 years of marriage and his eightieth birthday. So they spent two days in pleasant company, ignoring the pain that afflicted him and of which he had never made mention, appearing as bright and jovial as ever. A wonderful day of sunshine was crowned by a marvellous visit to the Madonna del Sasso, in Orselina. It was a splendid day, not only because of this exceptional panorama, but because of the friendship that sustained him for his ultimate journey. Text editing and revision by Peter Walker. A Life Devoted to Stenography INTERSTENO’S Secretary General for twenty years. Dr. Karl Gutzler lived to be 72 years old, serving the last 20 years of his life as INTERSTENO’S Secretary General. In 1990 he succeeded Fritz Klein as the Executive Director of the Federal Republic of Germany’s Stenography Service. In October 1992, after having dedicated 41 years of his life to professional stenography with the Federal Republic of Germany, he retired from this post. Dr. Karl Gutzler always had the best interests of his colleagues at heart, and so he became – and remained as – a member of the board in the Union of Parliamentarian and Negotiations Stenographers for more than 40 years. For 25 of those years he served as treasurer, and the last 16 years as President of the organization. After Germany’s reunification in 1990, he made a successful effort to integrate his colleagues from the former DDR. And upon his insistence, his organization was accepted as a full member into the German Federation of Stenographers in 1991. Dr. Gutzler and Intersteno had formed a life-long relationship. As early as 1961, he was a board member of the German Federation of Stenographers (Landesgruppe Deutschland). He held the office of Secretary General of this organization from 1973 until 1981. At the convention in 1979 in Belgrade, Dr. Gutzler was President of the International Shorthand Jury. In addition, he was the person responsible for holding the first International Multi-lingual competition. The 34th INTERSTENO convention in 1981, held in his hometown of Mannheim, carried Dr. Gutzler’s signature. It was he who organized this event, and he was one of the leading personalities responsible for its success. It was during this event that he was elected as Secretary General of the INTERSTENO Federation. Dr. Gutzler was a man of action. For twenty years he admirably carried out his duties with INTERSTENO, and the federation was always his first and foremost concern. When in doubt with regard to business matters, he would refer to the wealth of shorthand notes that he had taken. He never needed a recording secretary – he always took his own shorthand notes during the discussions and deliberations. 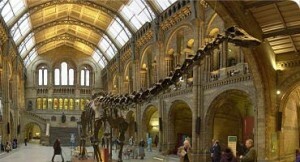 This ability kept him in good stead – he was able to refer to his own recorded material when searching for information. The author of these lines knew Dr. Gutzler as a man who was always well prepared when attending board meetings, and as a man who, because of his even-tempered, yet spirited personality, was able to instill an atmosphere of peace and harmony between the more than two dozen national groups. In preparation for the 43rd Intersteno convention that opened on July 28, 2001, Dr. Gutzler had taken on a heavy workload. Despite his waning health, his thoughts were ever on the work that needed to be done – until the very end. As he lay in his hospital bed, he missed his desk. Yet he insisted upon being helpful, and he simply wrote, in his wonderfully correct shorthand, on sheets of paper, which were strewn about his sick bed like fallen autumn leaves. No one seemed to be able to convince him to let others do the work, not even his dear wife Gisela, who so lovingly tended to his needs. Finally, while holding him in her arms, another took the pen away from his hand. Dr. Gutzler died in the morning hours of July 8, 2001.